San Francisco Giants legend and Baseball Hall of Famer Willie McCovey died today in a Bay Area hospital after losing what his former team called a “long battle with many health issues.” He was 80 years old. McCovey began and ended his 22-year career with the Giants, playing 19 of his seasons in San Francisco. He debuted in 1959 and took the NL by storm, winning Rookie of the Year despite playing only 52 games thanks to a 22-game hitting streak and a .354 batting average. 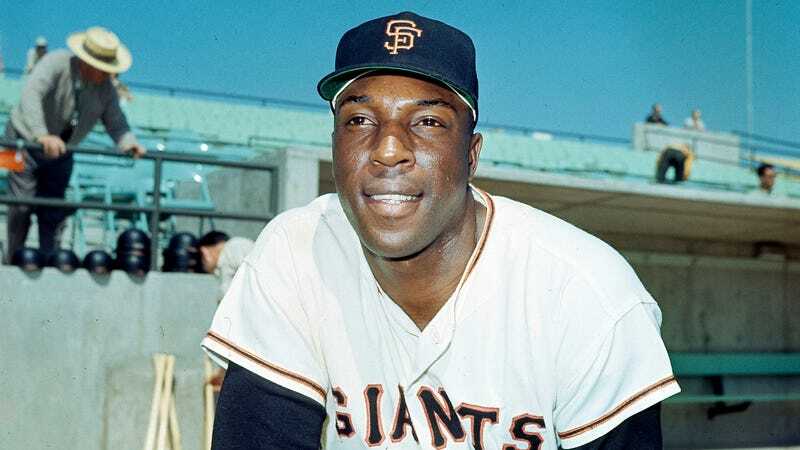 Alongside Willie Mays, McCovey took the Giants to Game 7 of the World Series in 1962, and if not for Bobby Richardson’s glove, McCovey likely would have walked them off for the championship. McCovey went on to win MVP in 1969, and later Comeback Player of the Year in his 1977 homecoming season with the Giants. He retired with 521 career dingers, a .515 career slugging percentage, and a lifetime wRC+ of 145. He was inducted into the Hall of Fame on the first ballot in 1986. Since his retirement, the Giants have honored McCovey by retiring his number 44, building a statue of him just off his namesake McCovey Cove at the team’s ballpark, and awarding the Willie Mac Award each year to the “Giants player who best exemplifies the spirit and leadership consistently shown by the San Francisco legend throughout his career.” McCovey, a regular at Giants games even through his ailing health, was present at the ballpark in late September to give the 2018 award to Will Smith.